If you've been following our development this year, you know we have done a lot with texting. Text to: give, register, and attend. As we were working on these, we realized that we could provide the same service for secure child check-in. Last week we released this upgrade. So you now have a well-rounded suite of texting options to more easily and fully engage people. As I have demoed these features over the past couple of months I find myself drawn more and more to the texting option. 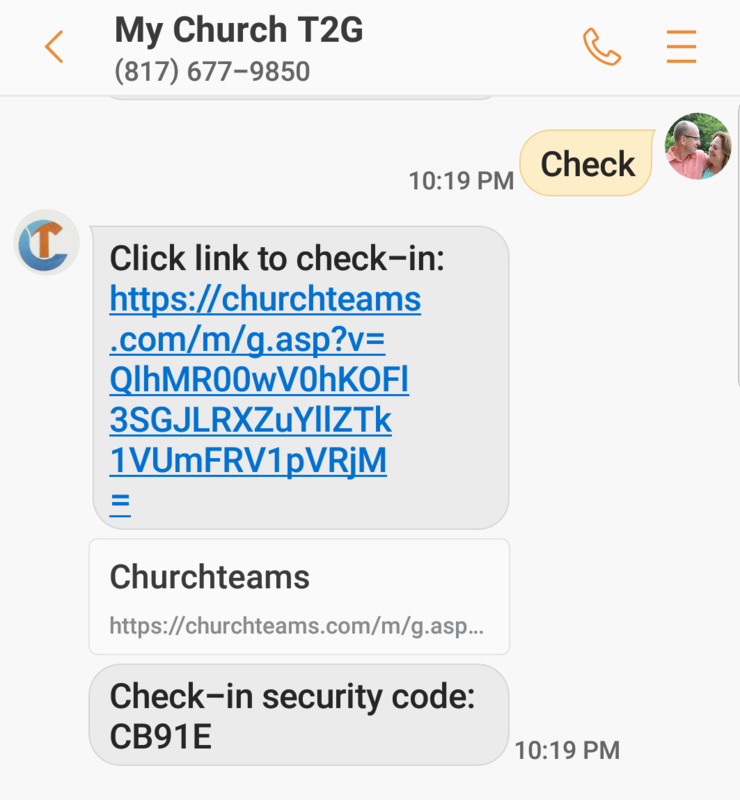 When I text a keyword, the system recognizes me and fills out all the information that it has on any form, or in this case check-in. This makes it incredibly easy to use. I've also seen that each feature supports the use of the other features. 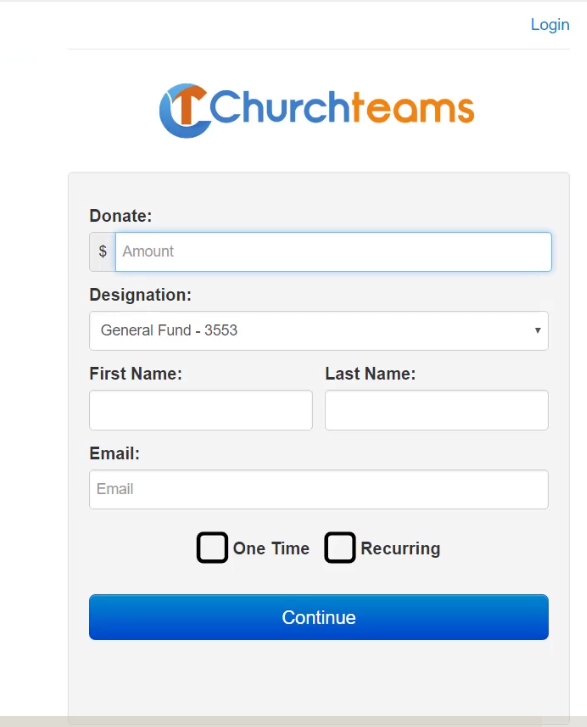 I'm excited to see the impact this combination of features will have on your church's giving. 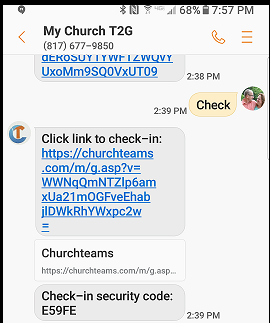 Here are the notes on text-to-check-in. 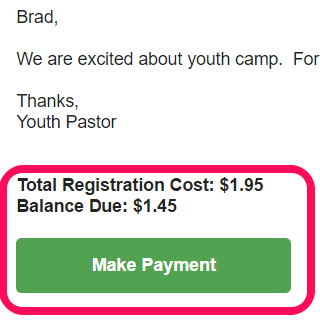 So, we're talking about text to register a couple of weeks ago. 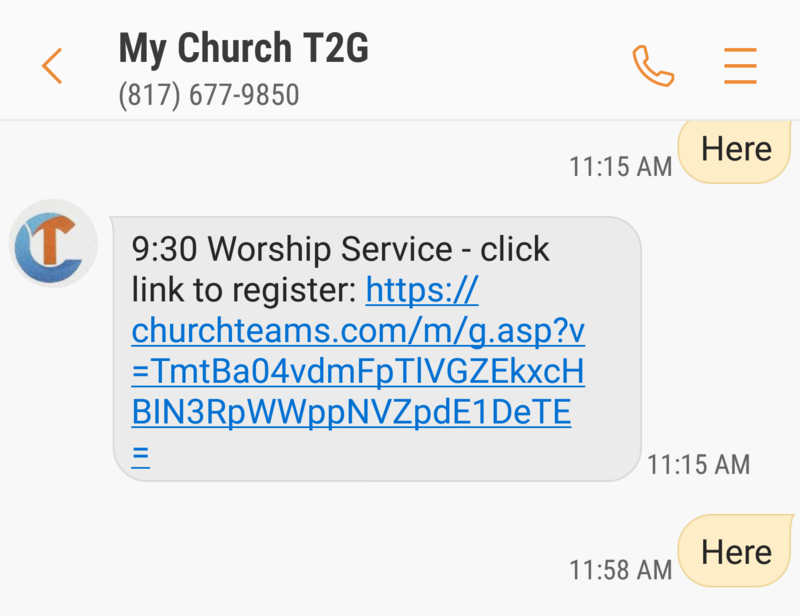 James throws out the idea of using texting to take worship attendance. This is an age-old question that churches ask us about all the time. We discuss it more, and Mark realizes it's something he can easily add. A day later and it's done. 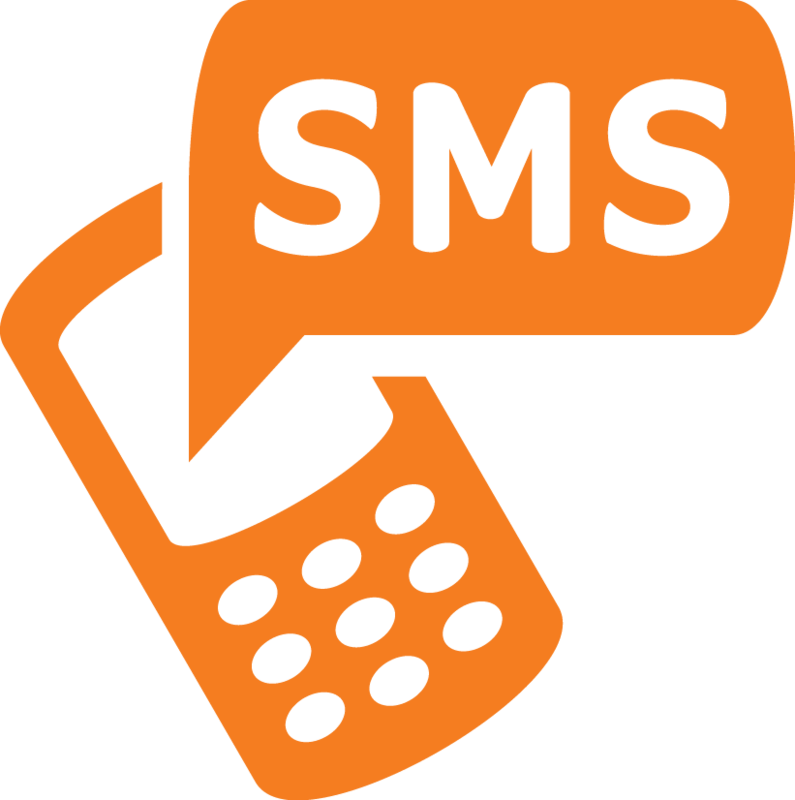 As of late last week, your Text To Give phone number can be used to register for a class, event or any other type of online registration. I often tell people that support and innovation are two of our distinctives as a church management software company. 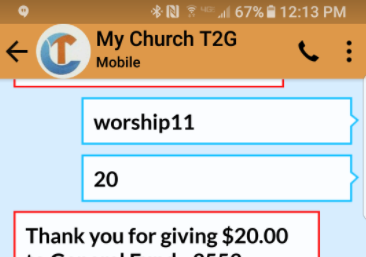 We released our new, innovative online giving and text to give upgrades a couple of months ago. At the same time, as a result of great interaction with our clients, we also released some really handy upgrades. You may have seen these already.